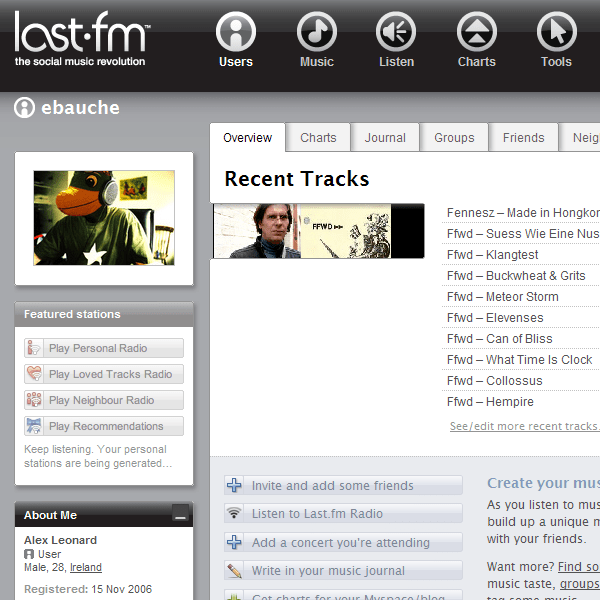 I've just signed up for a last.fm account. Man, it really looks like there is a hell of a lot of stuff going on in there.. plenty to get completely lost in. I've also gone ahead and set up my artist page and I was pleasantly surprised to see that before I even set anything up that I had 104 plays of my tracks "scrobbled" – nice to know that people out there are listening. Hopefully that gives me some incentive to keep writing tracks!